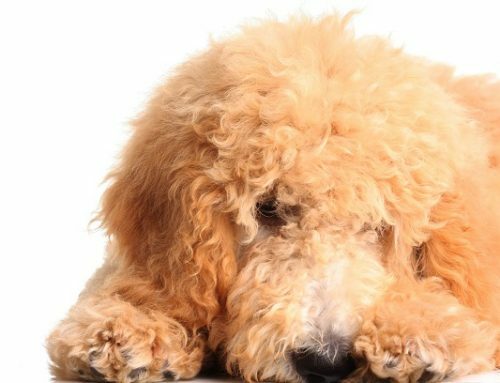 Goldendoodles are an adorable breed of dogs who are exploding in popularity for several reasons. Sometimes referred to as live teddy bears, this crossbreed of the Golden Retriever and Poodle is prized for its loving personality, intelligence and desire to please. Interestingly, there are some facts about them that you may not be aware of. I’ve read articles and have seen this particular coat type described three ways – smooth – straight and flat. Of the three types of coats found on a Goldendoodle – I believe the straight coat is the rarest of them all. However, Goldendoodles with straight coats are becoming very popular. Straight coat Goldendoodles rarely occur in F1 or F1B generations. They’re more common in F2 and F2B generations. Referred to as the “Golden Retriever coat” – they are very easy to maintain and require minimal brushing. Next time you go out looking for Goldendoodles, don’t be surprised if you meet one without the “teddy bear” appearance. The Goldendoodle origin is one of design, not evolution. The Goldendoodle breed is a super-pet, an intentional crossbreed of two of the most intelligent dog breeds, the Golden Retriever and Poodle. Basically the Albert Einstein and Stephen Hawking offspring-equivalent of the dog world! That may be an exaggeration, but one we are willing to make in order to get our point across. Goldendoodles are smart! The fact that they are not recognized by the AKC has not made them any less popular. In fact, their outstanding characteristics have made them a must-have for many families. If you have already looked at this style as a possibility, then you might have come across its alternate name: the Teddy Bear Cut. And as we all know, Goldendoodles have that irresistible teddy bear look. You just want to throw your arms around them and give them a big teddy bear hug. If all this discussion has you hankering for a Goldendoodle of your own, the best decision you can make is to get a health-guaranteed pup from Blue Ridge Goldendoodles. We’re recognized from coast-to-coast for the second-to-none puppies we raise. If you have questions or wish to speak with us, feel free to call us at 865-286-5338 or complete the contact form on the website. If a dog on our “Available Puppies” page catches your eye, fill out the online Application to begin the process.